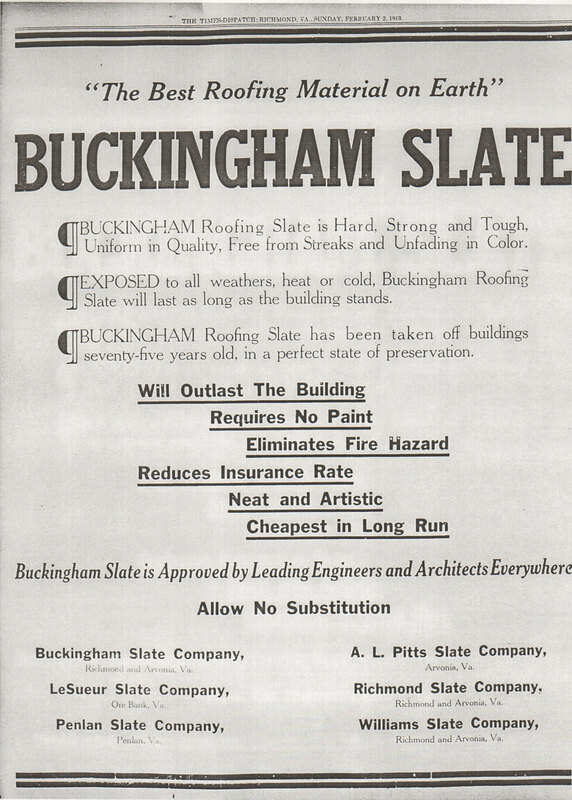 Buckingham Slate: LeSueur-Richmond Slate Corporation | slate river ramblings . . . .
Buckingham County history is scattered everywhere, much of it held in various collections of private and business papers. One such collection is the LeSueur–Richmond Slate Corporation Records, 1834–1998, housed at the Virginia Historical Society. The LeSueur–Richmond Slate Corporation evolved from numerous other slate companies, many located in Buckingham County, including: Williams Slate Corporation, Buckingham Slate Quarries, Arvonia–Buckingham Slate Corporation, and Buckingham–Virginia Slate Corporation. To learn more about the collection and some very interesting Buckingham history in the process, consult the finding aid for LeSueur–Richmond Slate Corporation Records, 1834–1998.